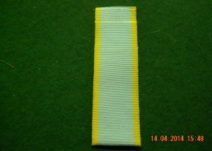 284, Ribbon for the Defense Of Okiep. 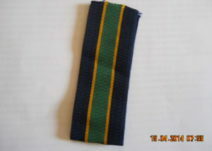 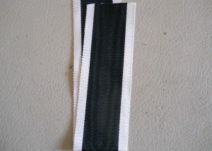 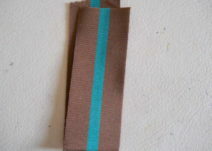 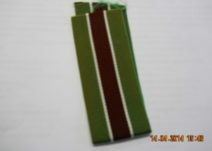 536, Rhodesian Police Reserve Long Service Ribbon. 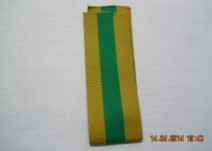 538, Rhodesian Medal Ribbon for The Officers Of the Legion Of Merit. 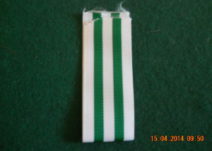 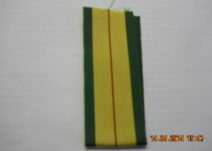 539, Rhodesian Prison Service Ribbon For Distinguished Service. 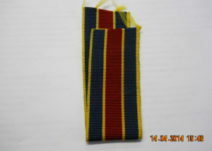 540, South African 10 Year Good Service Medal Ribbon. 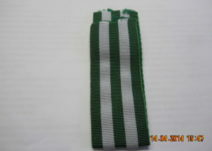 541, South African 20 Year Good Service Medal Ribbon. 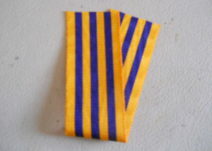 542, British Crimea Medal Ribbon.